I had the awesome pleasure of talking with writer, comedian and World Palindrome Champion Mark Saltveit. 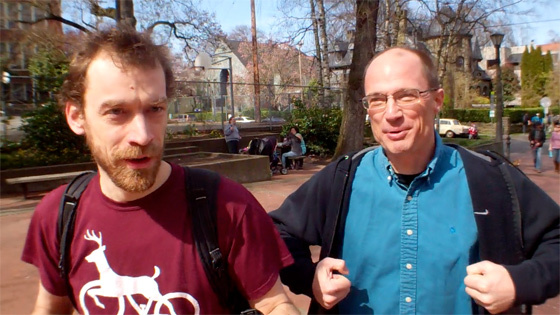 We walked through NW Portland on a very nice day. Learn more about Mark and see what he does by clicking on some of these links.